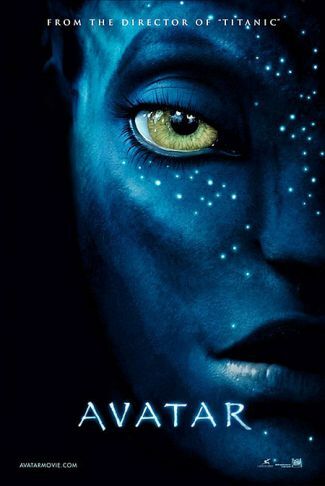 Finally, James Cameron’s much-vaunted teaser for his upcoming sci-fi spectacular, Avatar, has been unleashed! I can’t say that I’ve ever been a huge fan of this director’s work, but – quite obviously – I am a 3-D fan. I’m also aware of the time, money, effort, and cutting-edge 3-D technology that’s been poured into this epic affair. The movie’s being shrewdly marketed – as witness the Mxit cellphone campaign that has attracted hordes of young ‘uns to the teaser screenings held throughout the country this evening. The show begins with a mercifully brief intro by Cameron, who introduces himself as “Jim Cameron” (so we’re on casual terms, now!). Wisely, he allows the snippets that follow to do most of the ‘talking’. What’s the movie about, you ask? Who cares? We caught snippets of the storyline, though I suspect that this film will offer little to engage our minds. You can be sure, however, that every technical detail will be beautifully seen to. Cameron, we must not forget, is a kindred spirit (i.e. 3-D geek of note), so there’ll be much on the screen (and off it and behind it!) to keep us enthralled. Think Jurassic Park and Journey to the Centre of the Earth (the recent 3-D version), and you’ll have a fair idea of what to expect; just that there are heaps more dinosaurs and other prehistoric gnashers stomping about these steamy jungles in full stereoscopic glory. Throw in some cliffhangers (quite literally) and the scene is set for a grand-scale sci-fi romp that I’m almost certain I’ll enjoy – even if I pay no attention to the storyline whatsoever. And if you think that you’ll ever be able to replicate this mammoth adventure in your home theatre, I have bad news indeed for you. This entry was posted on August 21, 2009 at 7:21 pm and is filed under 3-D MOVIES, NEWS, Past 3-D releases. You can follow any responses to this entry through the RSS 2.0 feed. You can leave a response, or trackback from your own site.